New Zealand There are 19 products. A fruit-driven Syrah with aromas of liquorice, black pepper, plum and floral notes. 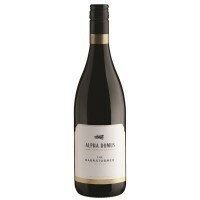 Medium bodied with flavours of dark red fruits, chocolate and savoury tones. French oak imparts spice and vanilla. Soft supple tannins and a lingering finish make this an excellent food wine. Powerful, tight and elegant. This wine displays intense ripe fruit flavours of passionfruit and white peach, with citrus notes of lime and mandarin pith. The palate has intense concentration and generous weight, balanced by an underlying minerality and tight structure to shape a wine with lively tension and textural balance. This Sauvignon Blanc is bright and fresh with hints of tropical fruit, citrus and nettle. The palate is lively and crisp, with good depth and length on the finish. 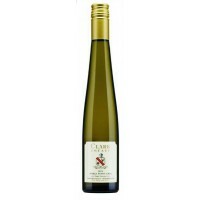 Immediately exotic, this wine is pungent and complex, offering orange marmalade, honey, spice and dried apricot aromas. Although it is sweet, the vibrant acidity balances the sweetness perfectly and keeps it from being cloying. This is a concentrated wine with a long and lingering finish. A wine full of fresh herbal aromas and layers of ripe guava and tropical fruit. 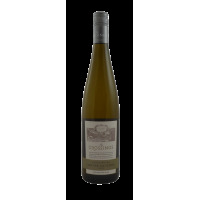 Gooseberries and passion fruit on the medium-full body; the palate is succulent and crisp with a long flavoursome finish. A bright and fresh Sauvignon Blanc with tropical aromas on the nose. The palate is lively and crisp, with passionfruit and herbaceous notes underpinned by hints of citrus and ripe lemon with depth and length on the finish. A complex floral wine, with pepper, cherry, plum, blueberry and smoky aromas. The palate is supple and silky with bass notes of sweet fruit, fine tannins, and a long spicy finish. Bouquet of maraschino cherries, plums, cranberries and cedar. A core of dark cherry, cloves and wild herbs are supported by bright fruit and French oak that complement a rich soft palate with finely integrated fruit tannins. The Awatere Valley Grüner Veltliner shows lifted notes of peach, honey and spice. The palate is rich and complex, highlighted by nut and spice notes with a creamy texture that finishes with fine acidity. The Crossing ‘Wild’ Sauvignon Blanc is a wine of texture, weight and funk! The flinty smoky characters on the nose highlight the hands-off approach taken to the fermentation management, with underlying stone fruit notes providing purity and varietal expression. The palate reveals ripe nectarine, mineral acidity and great texture and weight.